Note : Package not valid from 20th Dec 2014 to 5th Jan 2015. Morning drive to Nainital is a town in the Indian state of Uttarakhand and is nestled in the Kumaon foothills of the outer Himalayas. 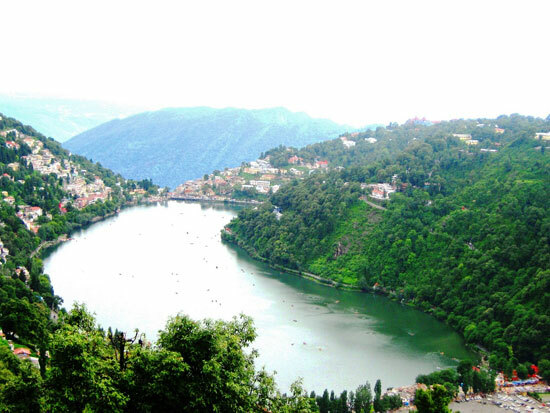 Situated at an altitude of 1,938 meters (6,358 feet) above sea level, Nainital is set in a valley containing a pear-shaped lake, approximately two miles in circumference. On arrival transfer to hotel. 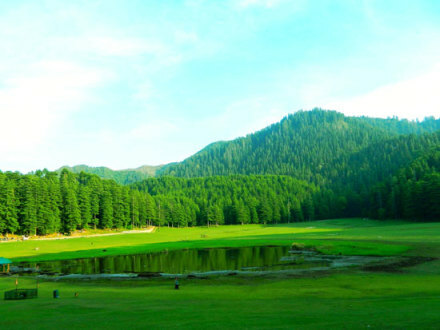 Rest of the day is free to explore various scenic sights or visit mall road. 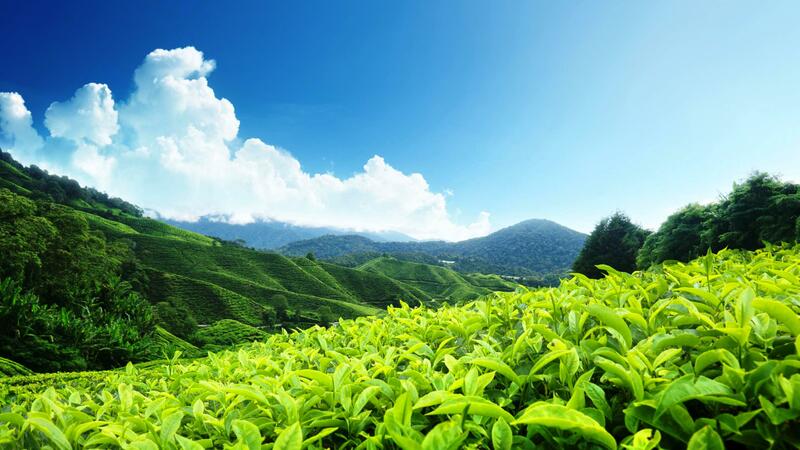 Post breakfast you will be driven to serene Nainital. 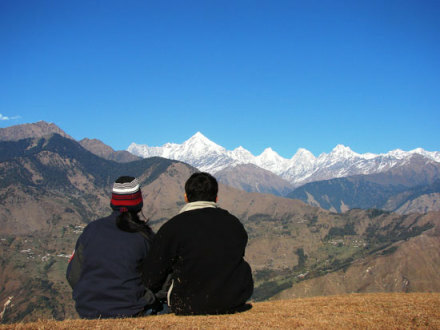 The favourite hill station of Kumaon, Nainital sees horde of families and honeymooners each year during peak seasons. Its placid Naini Lake, pretty temples, busy bazaars and the stunning Himalayan peaks at a distance makes gorgeous panorama. 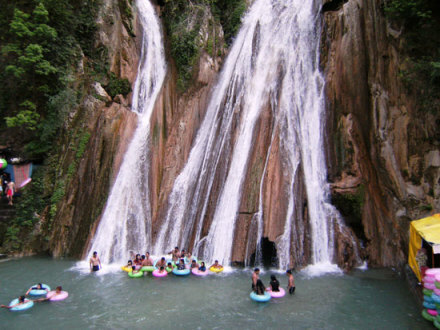 The sightseeing tour of Nainital will take you to numerous famed destinations starting from a visit to the Mall which is the point of confluence of Mallital and Tallital, the view here is splendid. 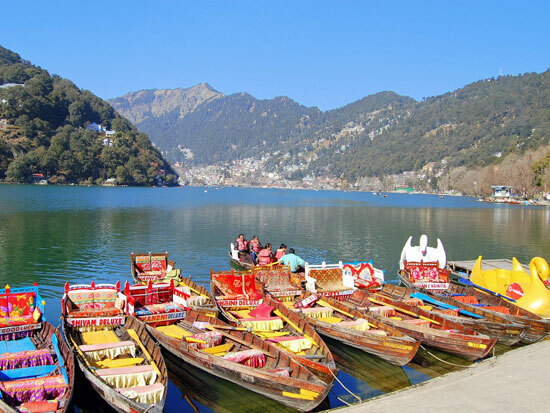 Pick your boat at the Boat House Club next and go boating on the crystal clear waters of Naini Lake. You can also enjoy yatching on the lake in case you have a thorough knowledge of the sailing techniques. Running the same length of Naini Lake, Thandi Sadak is a long promenade lined with sentinel oaks, pines and deodars. The thicket on the sides of the road create a dense shelter so much so that the road remains cool for it remains untouched by the sunrays and hence the road was christened Thandi Sadak (meaning cold road). 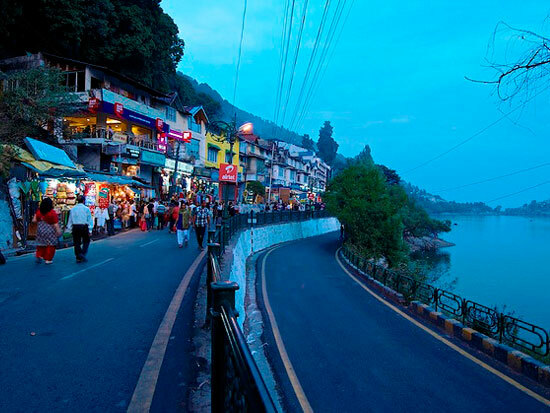 Drive past the road and later for those perfect views of the valley take the cable car ride to the hill top in Nainital. Rest of the day will be free for shopping spree and don?t forget to bag a couple of famous candles from the region. Drive next to Corbett National Park and check into hotel and have the rest of the day at leisure. Corbett Wildlife National Park: Set up in 1936 as India’s first wildlife national park and possibly the finest, the Corbett National Park was established in consultation with the great hunter and conservationist, Jim Corbett. The wildlife park spreads over some 920.9 square km at an altitude of 600 to 1100 metres at the foothills of western Himalayas in the districts of Nainital and Pauri Garhwal. In its eventful 64-year life, it has grown considerably in size and now includes the Sonanadi Wildlife Sanctuary as a part of its 1,319 sq km of reserved forest area. Early morning, visit to Corbett National Park and enjoy viewing all the wildlife. The national park in Uttarakhand acts as a protected area for the critically endangered Bengal Tiger of India and for various other wild species of the region. About 488 species of plants and diverse variety of fauna find their harmonious habitat at the park. Riding a jeep across the park one can observe the sub-Himalayan belt?s geographical and ecological characteristics here. 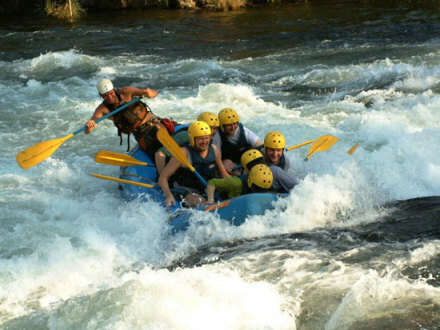 Adventure seekers are particularly fond of the park for not just the wildlife, but also the topography with its hills, riverine belts, grasslands and more mesmerises all. 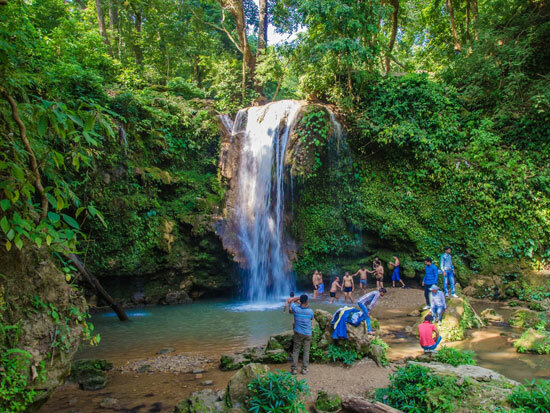 While you set on a wild rendezvous with the woods you will be accompanied by naturalists and other experts guiding and directing you through bewildering paths of the jungle. 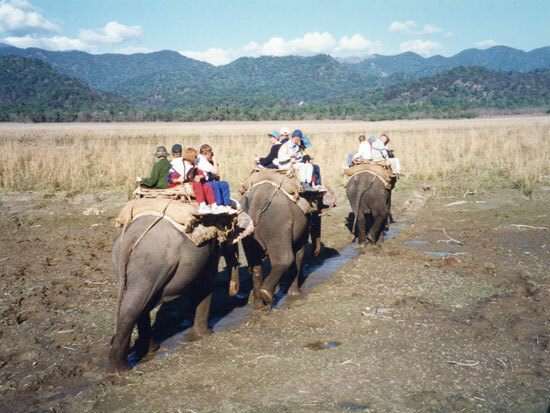 Also try an enthralling elephant safari (additional cost) for the real taste of adventure. Morning after breakfast set on a long drive back to Delhi.On arrival you will be transferred to airport/railway station for your journey back home. Note : Jungle safari charges Rs.4500 per jeep (Max 6 person in one jeep) extra.